Flying Saucer Club tickets are the perfect idea! 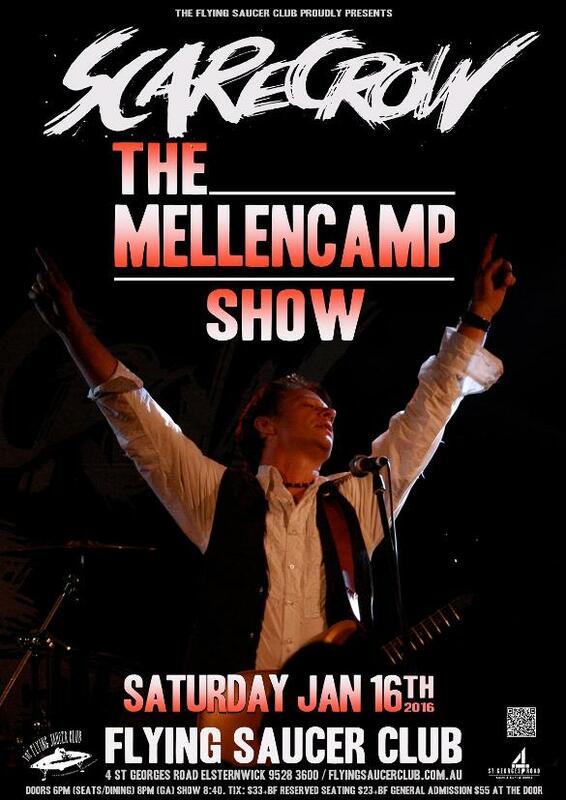 Perfect opportunity to gather a group for a New Years catch up & practice your Mellencamp tunes…. Mellencamp himself will be in Melbourne just a couple of weeks later, playing his hits you know & love! Get online & grab your last minute Chrissy presents!